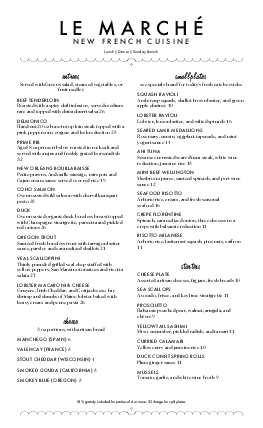 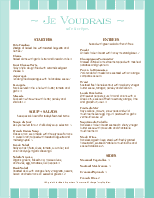 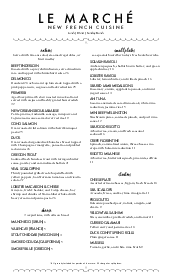 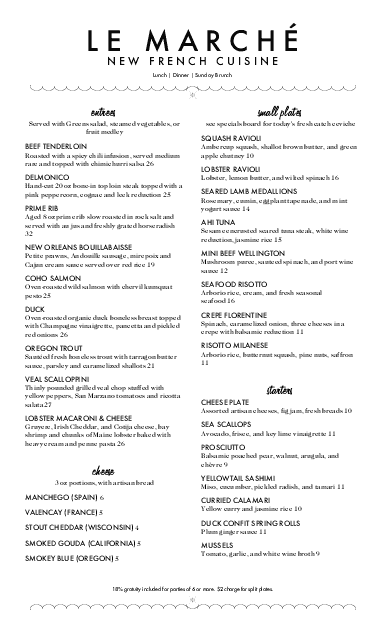 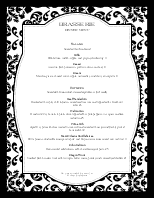 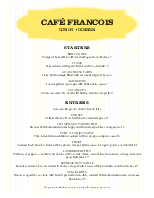 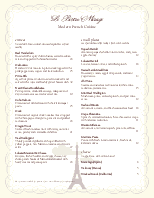 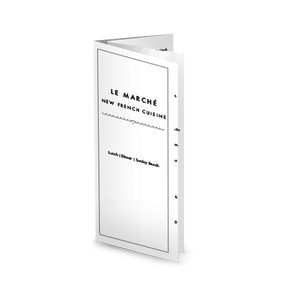 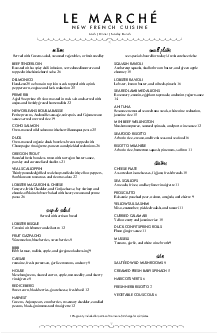 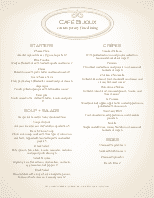 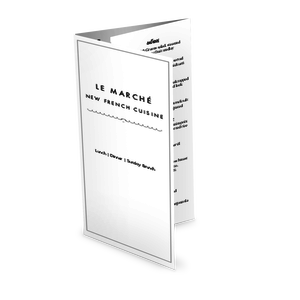 This sample French menu features space for your restaurant name or logo at the top, above the two column design on the legal, long page. 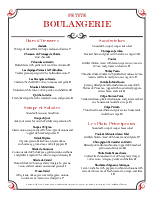 Menu headers are presented in an elegant script and wavy lines at the top and bottom of the menu page add a touch of class. 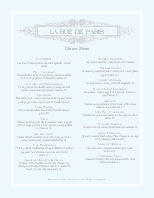 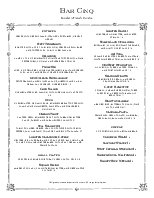 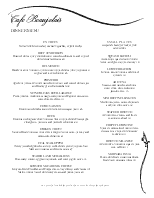 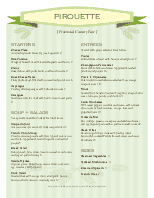 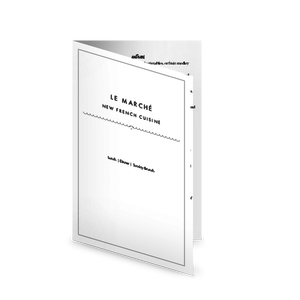 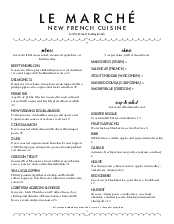 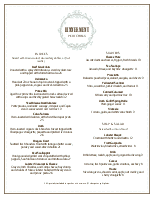 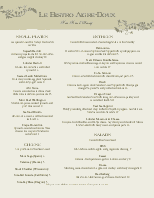 This French menu can be updated online using the Menu Editor.